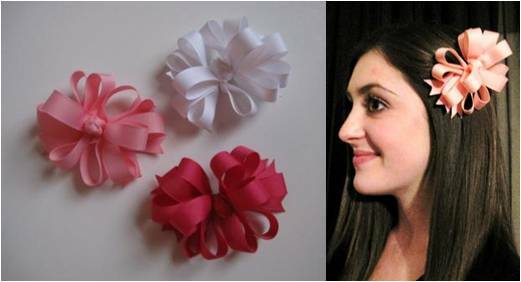 The Small Knot Bow is made out of 5/8 grosgrain ribbon on a small barrette. It has one knot in the center. This bow can only be constructed on a small barrette.